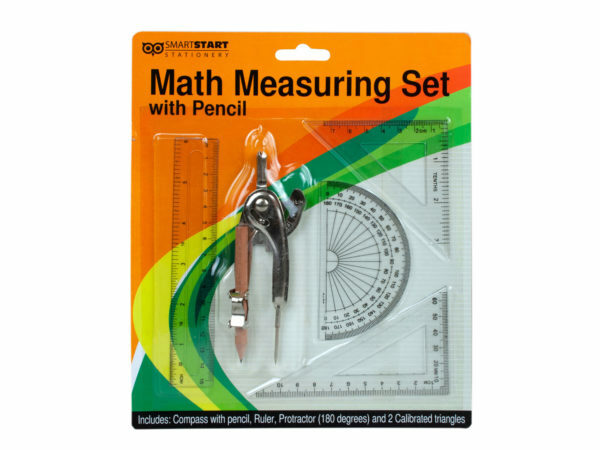 Perfect for studying geometry and more, this 5-piece Math Measuring Set comes with everything students need for calculating and measuring shapes and lines. There are 5 pieces including: compass with pencil, ruler, protractor (180 degrees) and 2 calibrated triangles. Comes packaged in a blister pack.